My False Heather was flowering cheerfully! 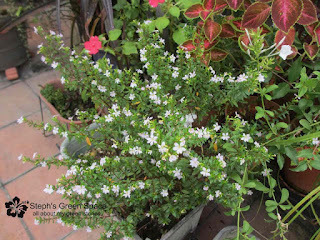 The pale purple flowers were bright as snow and they have really stole the show from the rest of the plant. A few days later, the white plumbago also did not fail to make an impression. They look exceptionally bright against the red impatiens and coleus. 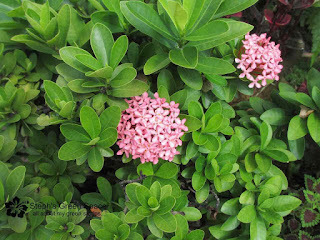 The pink Dwarf Ixora was blooming non-stop and is still flowering. One of my first plants in my garden and it really doesn't need a lot of attention to flower. 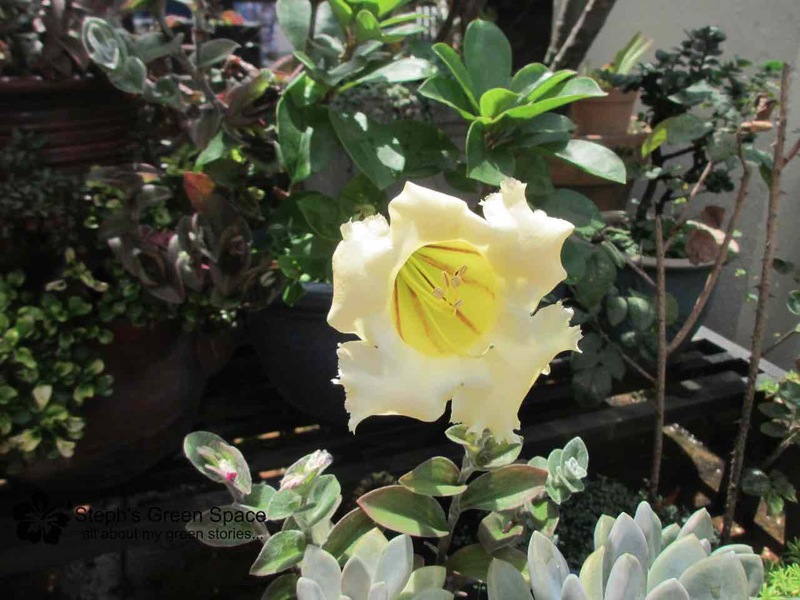 Certainly a wonderful flowering plant to have, especially for beginners. 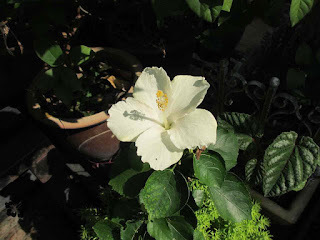 This white Hibiscus below has lost all its foliage before it bounced back. Now that the dark green leaves are back, the flowers came back a well. Good job! 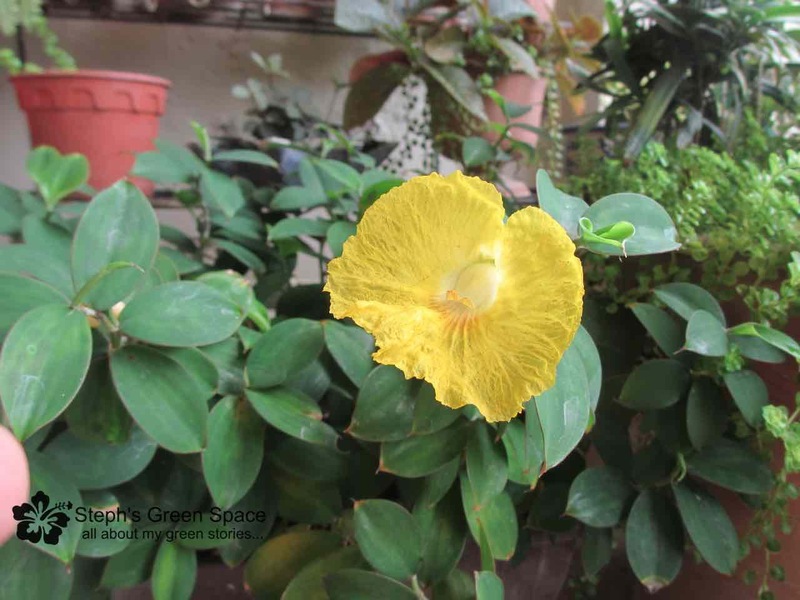 The flowers of hibiscus are always in different sizes. How about yours? 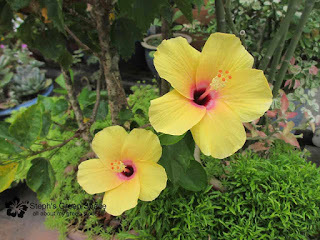 Yellow in colour as well and unscented like the hibiscus above, Lemon Ginger flowers look demure even when the colour is so bright. The crepe and thin petal give a soft feel without having to touch it. 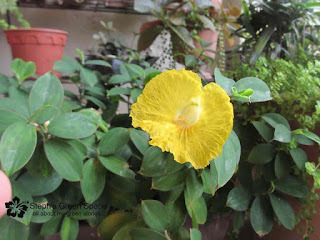 Here is one big trumpet bloom... 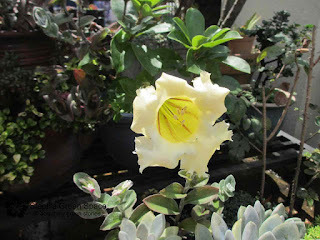 It is from my Chalice Vine. What a beauty to behold, yay!! 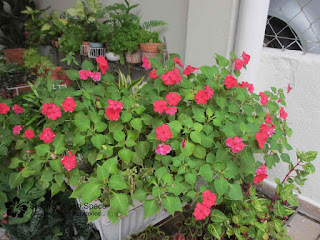 Hey, take a look at my Impatiens... they are still in bloom, guys. What an apt title! I see so many hapoy blooms there in your garden! Though I favour yellow and white flowers more, I do like your pink ixora. It is indeed very pretty. We have lots of different colour and species of ixora here at our condo. But I seldom care to really look at or appreciate them, mainly because there are just too many of them that I tend to take them for granted. So unappreciative and ungrateful me! Oh yes! Yellow ixoras are beautiful. I like whites too. Yup, too many choices, LOL. Ahh... 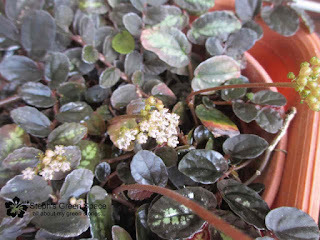 Thank you, you reminds me to my poor Pilea. I forgot where I put that plant...??? A nice collection you have. I like the way you arrange and group them. I like to have plants with contrasting colours together so that one can stand out individually and look good as a whole as well. 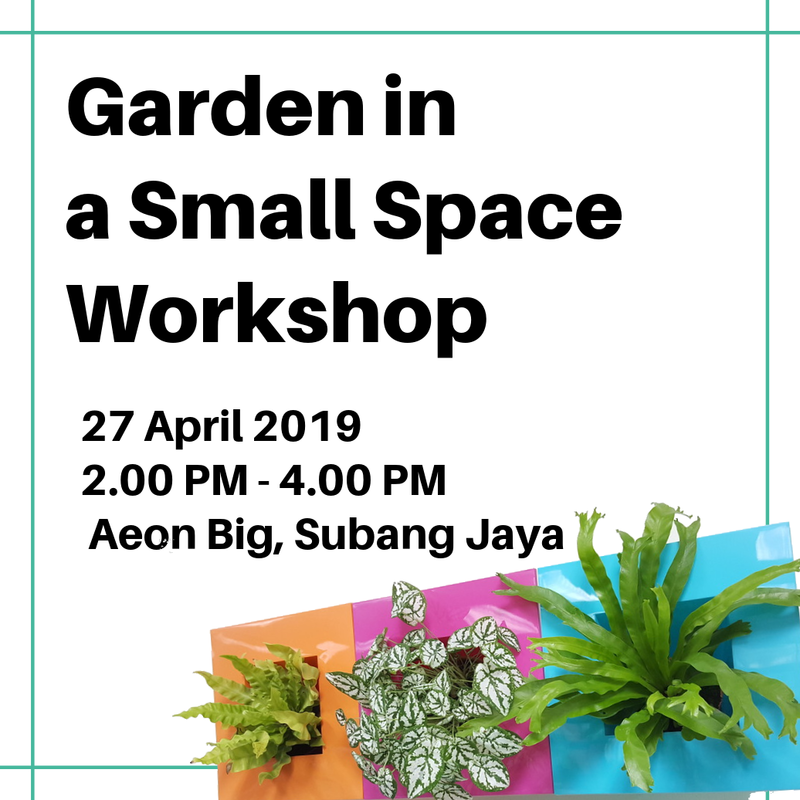 Beautiful garden. 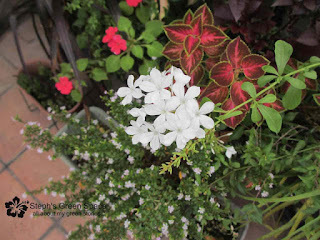 Look at the plants just remind me those I Have before. Some of them vanished like that. Thanks for sharing. 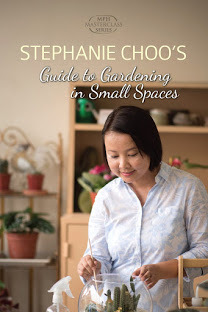 I'm Stephanie - This blog is where I share about the plants I grow and my gardening projects. 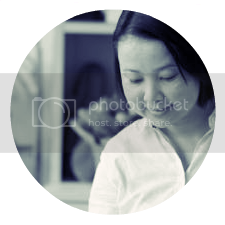 I live in Malaysia, a land blessed with plenty of sunshine and rain, a tropical climate. The days are warm and humid with temperature averaging around 32˚C (90˚F) while the nights are fairly cool. 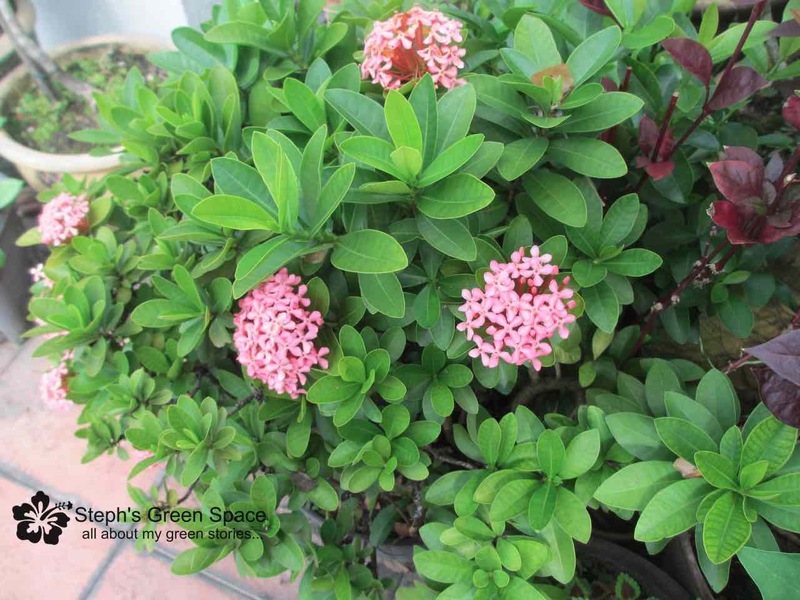 © 2009 - 2015 - Steph's Green Space. All rights reserved. Powered by Blogger.